Another long day at Druridge and I am now totally zonked! 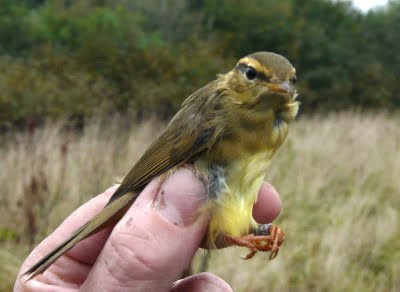 We were ringing from 6.45am until 5.30pm, we caught 116 birds including 4 retraps - not bad at all! 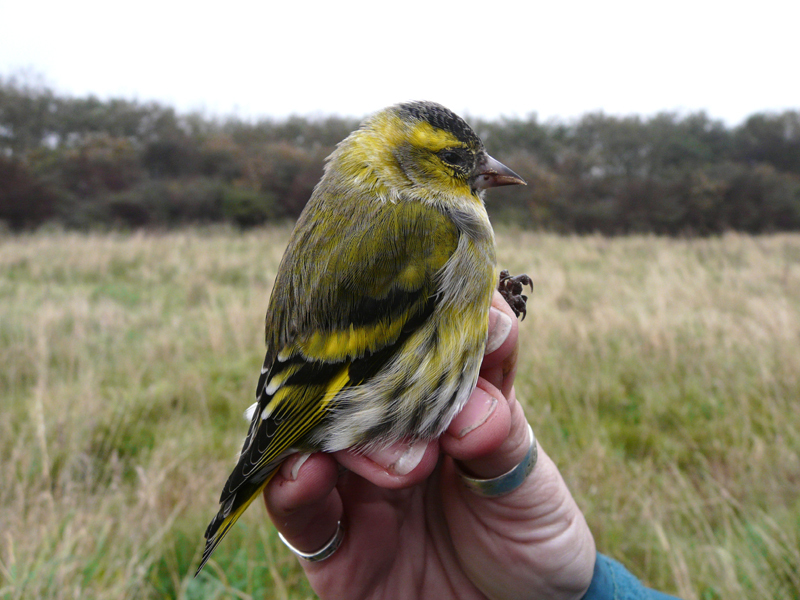 We caught a gint of goldcrests and a hod of robins too, we caught nothing unusual or even scarce and we were so busy ringing I didn't even have time for any birding between net-rounds. 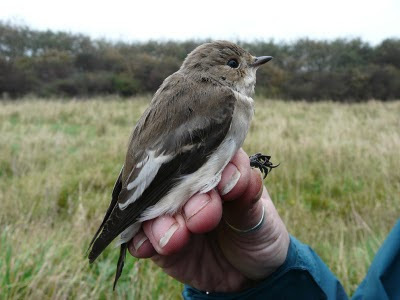 Best birds of the day were pied flycatcher, garden warbler, meadow pipit and two blackcaps. 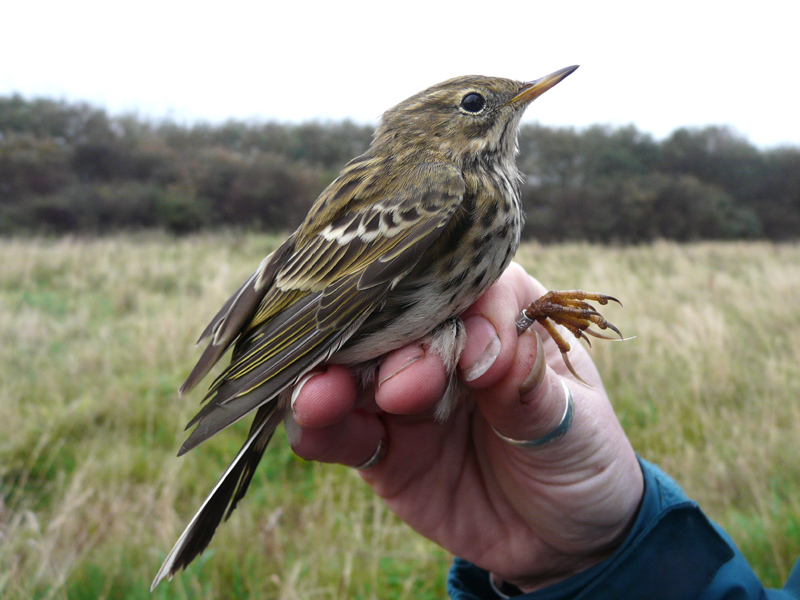 Between net rounds, a skein of c800 pink-foooted geese flew south at dawn and for the first three hours there was a steady stream, of skylarks moving through, maybe 30-40 per hour. A nice male brambling was on the short grass near the dunes and a kestrel, mobbed by ten pipits and wagtails was hunting in the dunes. I wish you would stop showing that photo, you'll get ringing banned.